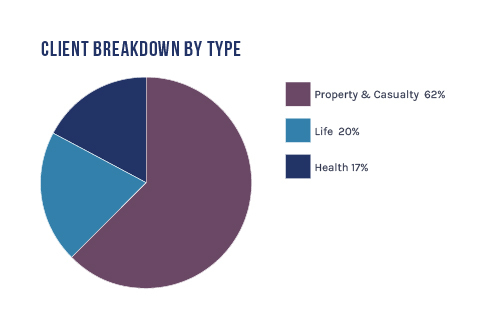 AAM has a diversified client base across Property & Casualty, Life, Health, and Captive Insurers. AAM brings a unique investment approach to each type of insurer. Beginning with a thorough dynamic financial and tax analysis, we offer an industry- leading tax advantaged strategy, which opportunistically invests in a mix of taxable and tax-exempt securities to maximize after-tax yield. After a thorough Asset/Liability analysis, AAM structures portfolios to maximize the investment spread over the crediting rate. This is complemented with rigorous cash flow testing and crediting rate reviews. With a constantly evolving health insurance landscape, AAM partners with clients to ensure adequate liquidity and tax optimization. Understanding the objectives of Members is critical to success in managing investments for captives. AAM has a long-standing track record of working with the industry and providing the service, reporting, and investment expertise to serve the captive market. AAM represents approximately 100 clients across all insurance business segments. We serve a broad range of insurance clients including P&C, Life, Health, and Captive insurance companies. Our team's insurance asset management experience is our core strength. AAM's senior management averages 23 years of investment industry experience and our portfolio management team averages 18 years of investment industry experience. AAM executives frequently attend or speak at industry conferences. Look for us at the following upcoming events. Success in the constantly evolving investment markets requires an asset manager with an opportunistic approach.